Who doesn't like chocolate My favorite is the darkest of chocolate. I will fill the rest of this out at a later time. I don't even know what to say about chocolate. Who doesn't?! 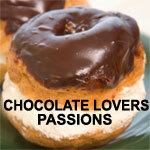 Chocolate is yummy, tell me why you like it and we'll have covered the whole breadth of the subject.